You have recovered Domain User credentials for a domain but have no privileged or interactive access to any targets i.e. 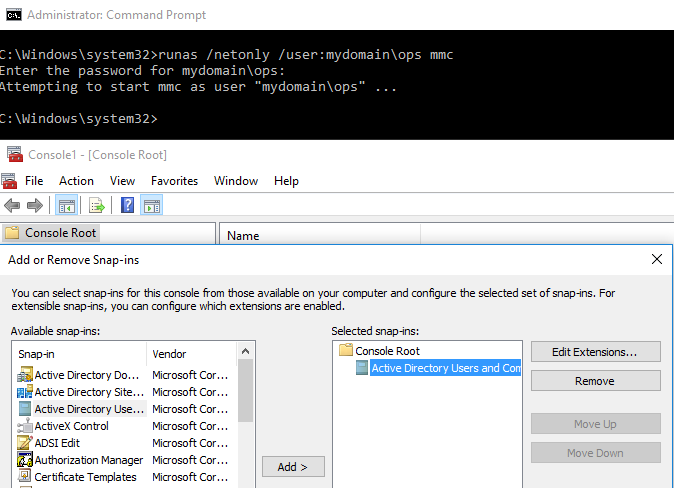 no Domain Admin account or any account that is capable of establishing an RDP session. On a recent engagement I was performing an internal assessment against several untrusted Windows domains. Using Kerberos Domain Username Enumeration and subsequently performing SMB password guessing it was possible to achieve access to a number of Domain accounts. However, it transpired that none of the identified credential sets were privileged e.g. 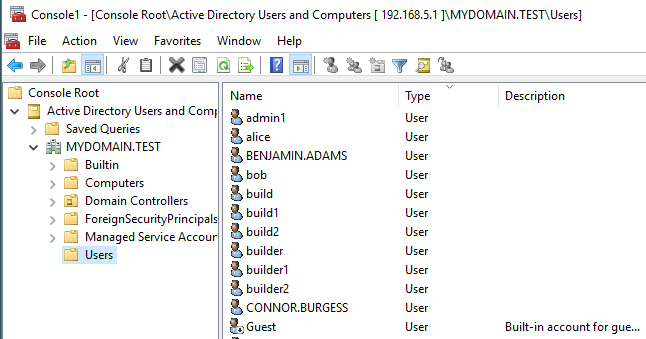 they were not Domain Admin and additionally, none of the accounts were members of the “Remote Desktop Users” group. As a result, no interactive access to any of the target hosts was possible. 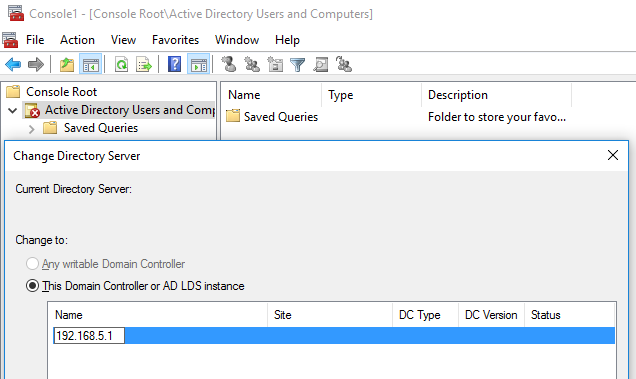 A number of different techniques exist to query Active Directory using low privileged accounts (i.e. a domain user) from our non-domain joined pentest laptop and I will discuss a few options for doing this in this post. Once this enumeration is complete accounts can be subject to further password guessing attempts. The excellent PowerView from harmj0y probably offers us the best options for AD enumeration in our Domain User / non-Domain joined context. PowerView is thoroughly and eloquently discussed in harmj0y’s multiple blog posts (see references), but I’ll just discuss a couple of options that can be useful in our scenario. The whole purpose behind this Domain enumeration is to provide us with further and more privileged accounts to target from a password guessing perspective. The retrieval of the Domain’s password policy obviously also complements this exercise. Thanks great post! 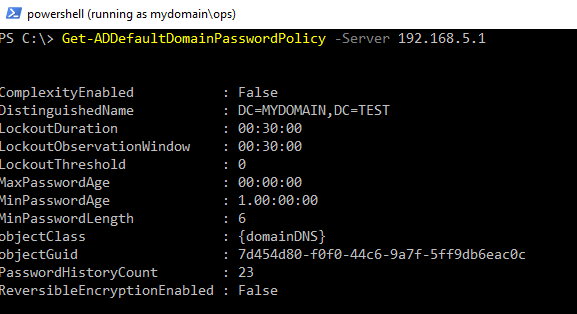 Something that red teams/ pentesters miss when looking at domain password policy is determining if fine grained password policies are also being used for specific accounts. This can be a great way for blue teams to catch someone password guessing since the lockout thresholds for specific accounts can be set lower than that of the domain policy. It also serves as a way to set stronger policies for higher privileged accounts.